Ideal for a personalize gift, desk accessory or a promotional product, the Large Wood Cube features plenty of engraving area. The Dove White finish is slightly distressed on the sides for a rich, antiqued look. Laser engraving the Wood Cube creates a dark brown color for an excellent contrast. 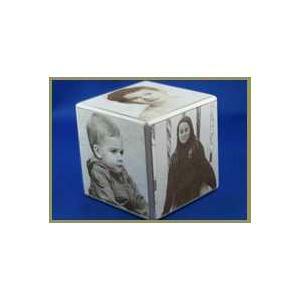 Accurately made and finished the Wood Cube is an easy item to engrave and achieve professional quality results. Text, logos and clip art all look clear and sharp when engraved on the Wood Cube.